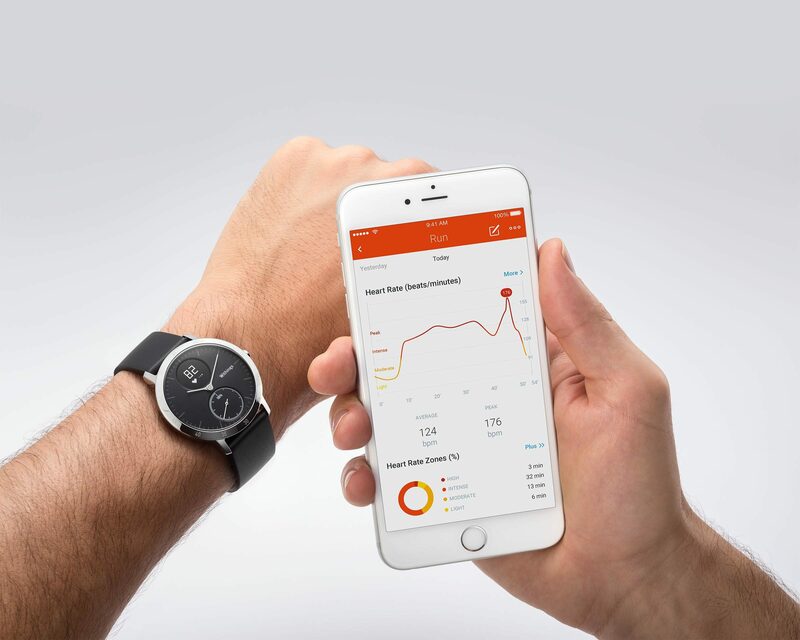 Withings has been acquired by old mobile giant Nokia, which means that its Activite lineup becomes part of Nokia's own collection now. With such an acquisition, Nokia has said that it looks to leverage all the power it can to become a major player in the Internet of Things (IoT) phenomenon/trend in tech that wants to connect everything to everything else and have devices "talk to each other," as the saying goes. The Nokia-owned company is, like its fellow rivals, aware of the rise of smartwatches (particularly analog smartwatches) on the market; after all, take a look at Fossil who just introduced a few analog smartwatches, or, as Fossil says, "hybrid smartwatches," of its own recently. Fossil's Q54 Pilot, Martian's Kindred VIP, Meizu's Meizu Mix, and Danish watchmaker Skagen's Hagen Connected are just a few that show the rise of the analog smartwatch to serve as a "happy medium" between full-blown, unapologetic smartwatches and traditional luxury analog timepieces. 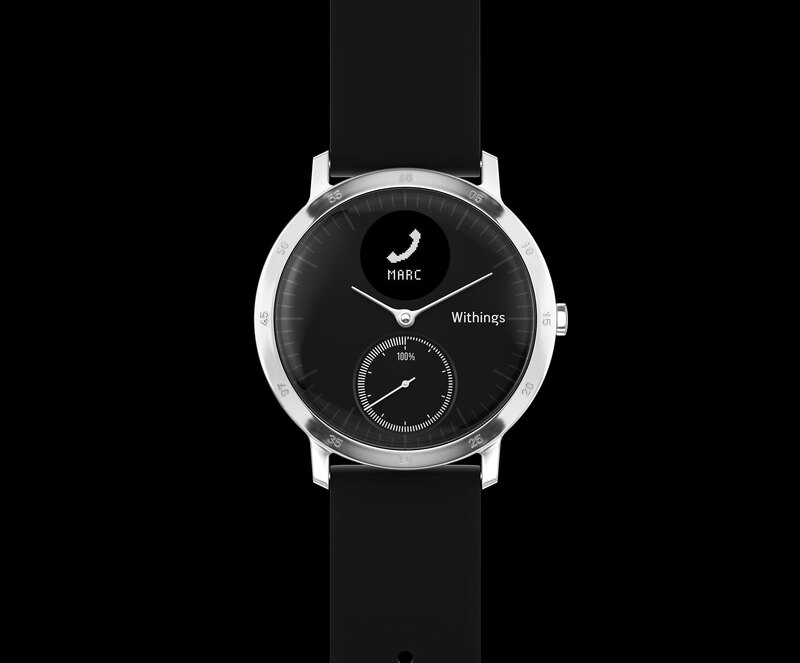 Withings is back to announce its successor to the Activite Steel from 2015, the Steel HR. The "HR" shows that yes, this analog smartwatch does have a heart rate monitor -- which Withings says makes its analog smartwatch the first in the world to do so. Aside from the optical heart rate monitor, the Withings Steel HR also has an analog display, making it appear as a traditional watch. A new digital screen at the top of the display showcases your call, email, and other smartphone notifications and health data so that everything you need is right on the screen. 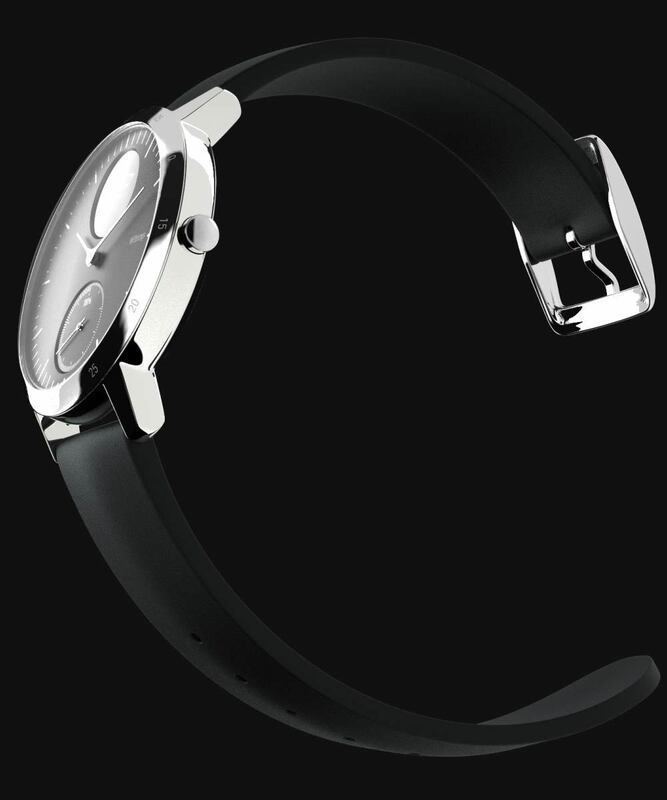 A button on the side of the Steel HR lets you view all of your various health data (steps, calories burned, etc.) on the spot so you can figure out how far to go before reaching your exercise goal for the week. 25-day battery life means that you're getting a smartwatch that looks good and runs well, though some will see this as a dramatic departure from the 8-month battery life of the Activite Steel. 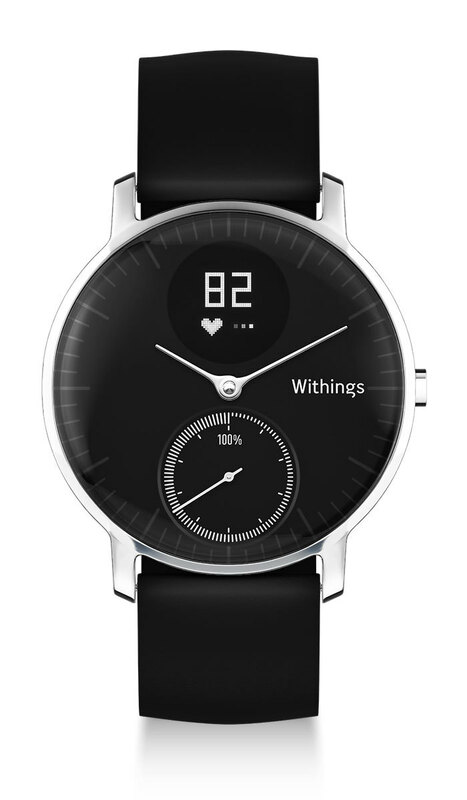 The Withings Steel HR comes in 36mm and 40mm sizes, with the 36mm option providing two colors, black and white. The 40mm version will only offer a 20mm strap and a black smartwatch (no white choice here). 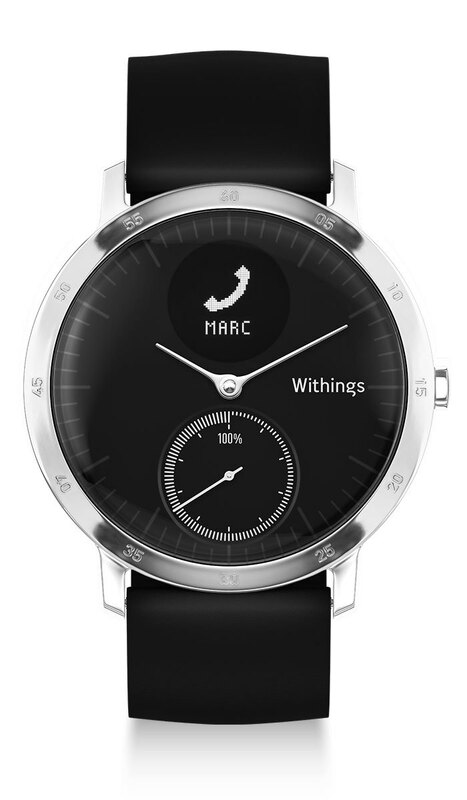 The 36mm Steel HR costs $179.95, the 40mm Steel HR $199.95, and both will be available in October at the Withings website. 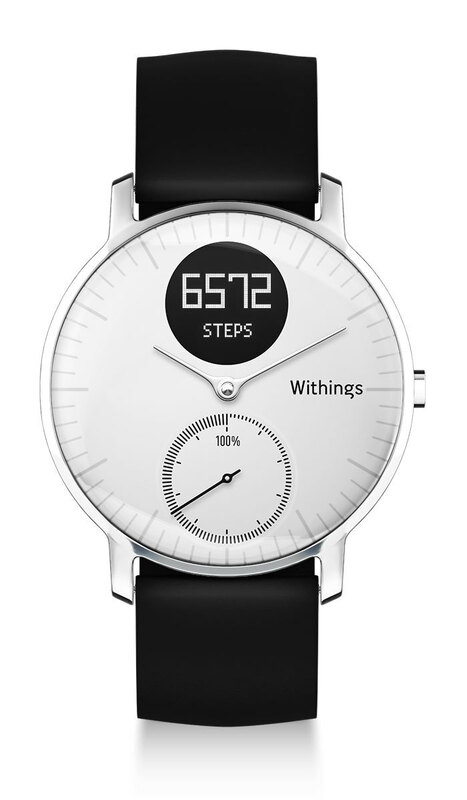 I'd suggest you order these from Withings first, since they won't arrive in retail stores until the end of next month. Until October, perhaps the photos below will help you endure the wait. 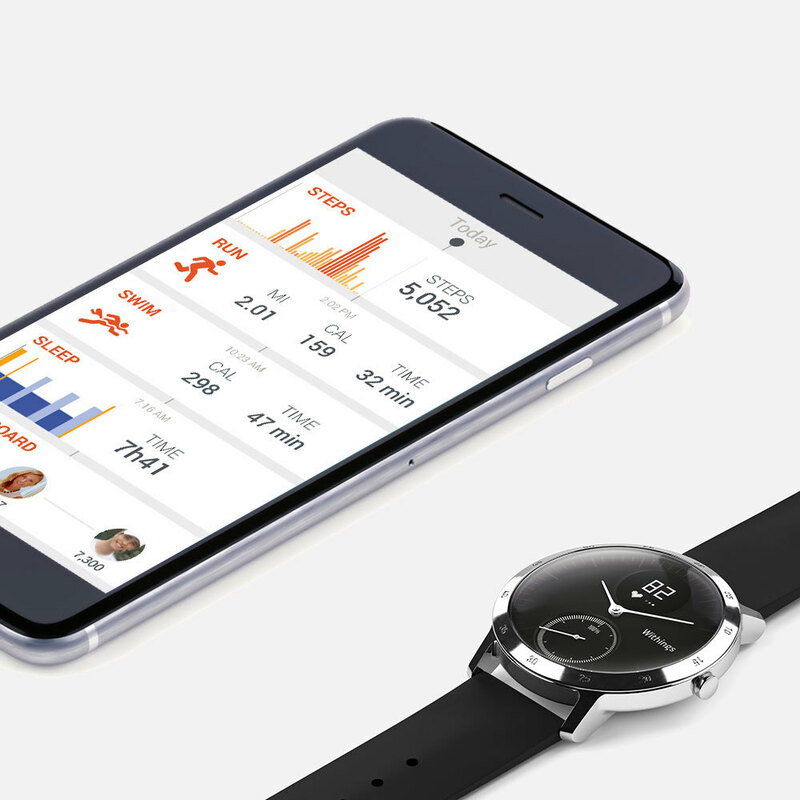 You can find out more by visiting the Withings Steel HR promo at the company website.